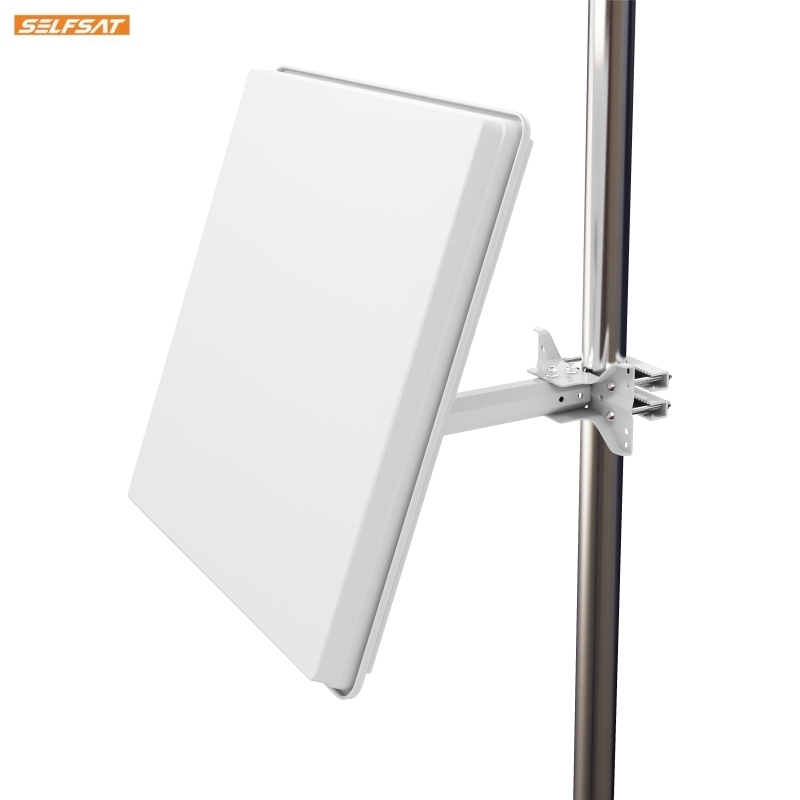 The superb Selfsat H50D4 flat plate antenna with built-in quad LNB is the perfect alternative to a dish. 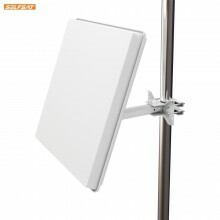 The Selfsat H50D4 is even flatter than previous models and has a larger receptor giving it the same receiving characteristics as a conventional 80cm dish. It can be installed discretely to the house or caravan. It can feed up to four separate satellite receivers or two twin output PVR's such as a Sky Plus Digibox or Freesat PVR. The Selfsat H50D4 Quad Output comes with an ultra versatile bracket making it very easy to install. It's reception capabilities are approximately equivalent to that of a 80cm dish, making it perfect for use in most European locations with Hotbird, Eurobird or Astra satellites. The Selfsat H50D4 can be transported without any problems and can be mounted and dismounted easily and quickly making it ideal for caravanning and camping use. Manual, basic toolkit and compass included. Click the button below to add the Selfsat Quad Output Flat Satellite Antenna H50D4 to your wish list.